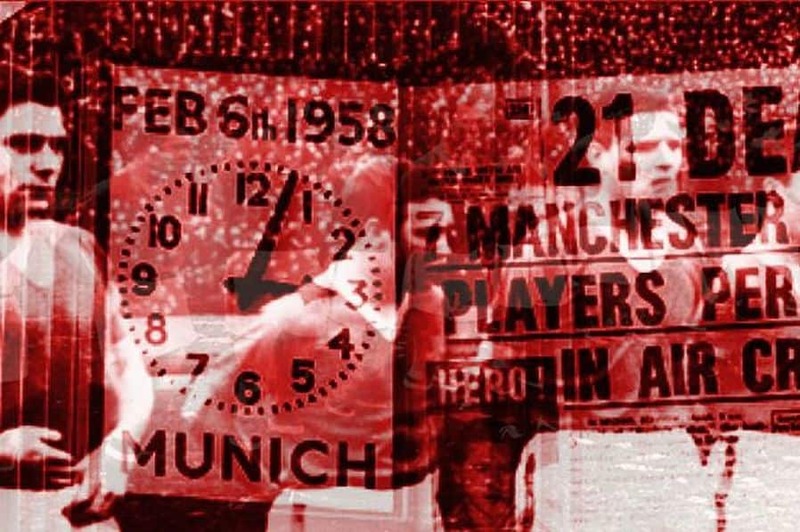 Today marks the 61st anniversary of the darkest day in Manchester United history. The Munich air disaster occurred on six February 1958 when British European Airways Flight 609 crashed on its third attempt to take off from a slush-covered runway at Munich-Riem Airport, West Germany. On plane was the Manchester United football team, which was returning from a European Cup match in Belgrade, Yugoslavia, having eliminated Red Star Belgrade. 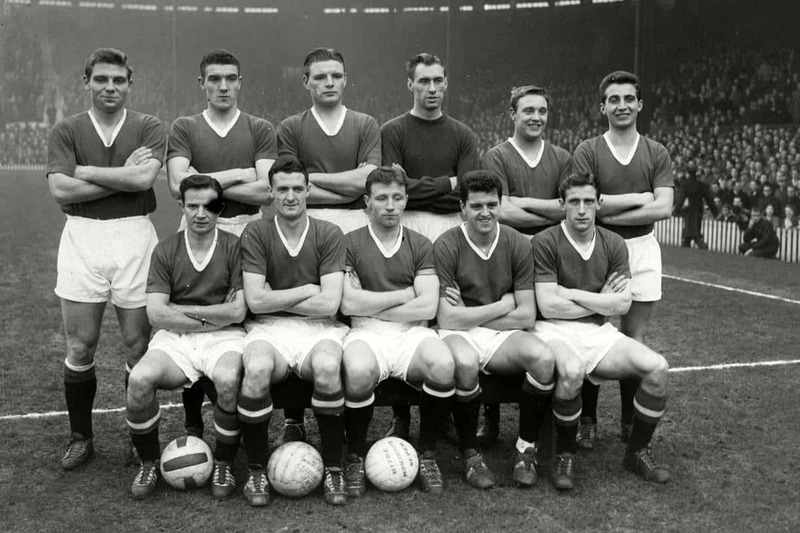 The “Busby Babes” were trying to become the third club to win the three successive English league titles. The team had not beaten for 11 matches. The Full-back only made 12 appearances for Manchester United and died at the age of 25. The captain of Manchester United and England national team player made 280 appearances for Manchester United and 33 for England National team. Byrne scored 20 goals for the Red Devils, however, he died at the age of 28. Colman made 108 appearances for Manchester United and scored two goals. He died at the age of 21. The England International made 151 appearances for Manchester United, scored 20 goals and made 18 appearances for his national team with scoring 5 goals. He survived the crash, but died in hospital 15 days later, at the age of 21. Jones made 121 appearances for Manchester United and died at the age of 24. Pegg made 127 appearances for The Busby babes and scored 24 goals. He died at the age of 22. Tomas Taylor made 166 appearances for Manchester United and scored 112 goals. However, his football career ended very soon, as he died at the age of 26. Billy made 79 appearances for the club and scored 43 goals. He was United’s top scorer in the 1956-57 season, however, he died at the age of 22. 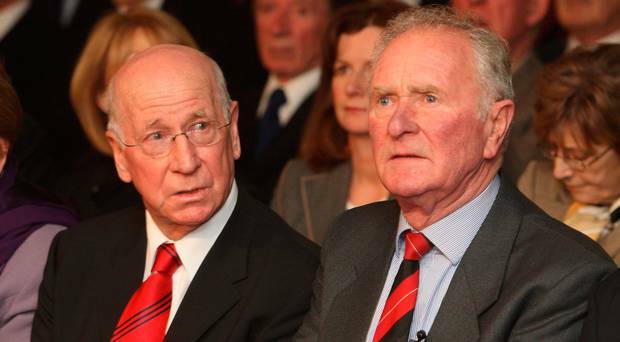 Harry Gregg and Bobby Charlton are the two remaining survivors and a distance grew between them across the decades. Charlton, strapped into his seat, had fallen out of the cabin and when United goalkeeper Harry Gregg (who had somehow got through a hole in the plane unscathed and begun a one-man rescue mission) found him, he thought he was dead. That said, he grabbed both Charlton and Viollet by their trouser waistbands and dragged them away from the plane in constant fear that it would explode. Gregg returned to the plane to try to help the appallingly injured Busby and Blanchflower, and when he turned around again, he was relieved to see that Charlton and Viollet, both of whom he had presumed to be dead, had got out of their detached seats and were looking into the wreckage. In a 17-year playing career with the Reds, he played 758 games and scored 249-both of which were longstanding records until, respectively, Ryan Giggs in 2008 and Wayne Rooney in 2017 surpassed his feats. Goalkeeper Harry Gregg dubbed the “hero of Munich” for his actions after the air disaster has been recognized in the Queen’s New Year’s Honours list. 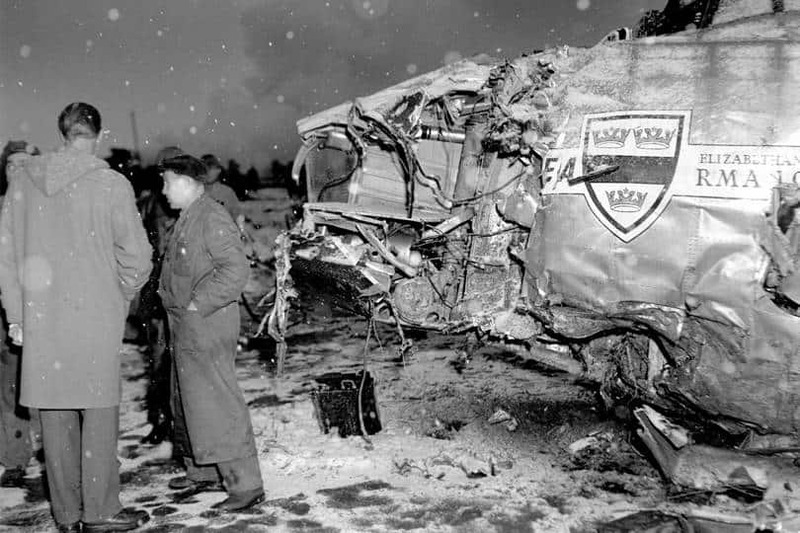 Having survived the impact, he managed to free himself before helping pull others to safety from the burning wreckage, including a mother and baby and teammate Sir Bobby Charlton. I would be telling lies if I said that I thought about it all the time. In fact I would go insane, said the county Londonderry man, who remained at United until signing for Stoke City in 1966. I know the media would like to talk about what happened on a runway. I don’t blame people for that but if all I was ever part of or all I ever achieved was to do with what happened in Germany, in Munich, if that was what my life was all about, it didn’t come to very much. I do not think what happened in Munich made Manchester United. It is a very large part of Manchester United history but it’s not all Manchester United. I have seen Manchester United through bad times and good times. I’m just very glad that Henry Gregg from 34 Windsor Avenue (in Coleraine) was counted good enough to play for what I consider to be one of the greatest clubs in the world. Here we share the thoughts of Manchester United’s caretaker manager Ole Gunnar Solskjaer. I think it’s so important because it’s such a big part of our history. That day will be in our memories and our history forever. It’s quite a few years ago now and the new supporters coming through must learn about it and the history of it. My dad was 14 when it happened and he tells me about how he got to know about it back home in Norway, watching it on the black and white TV screens. It’s a sad day in our history, but it’s a day that we’ll always remember. 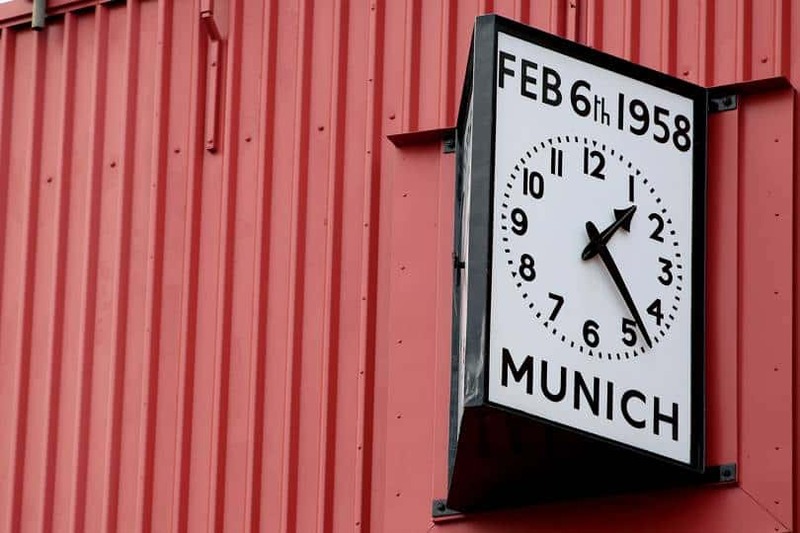 A short commemorative service will be held on the stadium forecourt this afternoon (Wednesday), enabling supporters and club staff to gather and pay their respects under the Munich memorial clock. 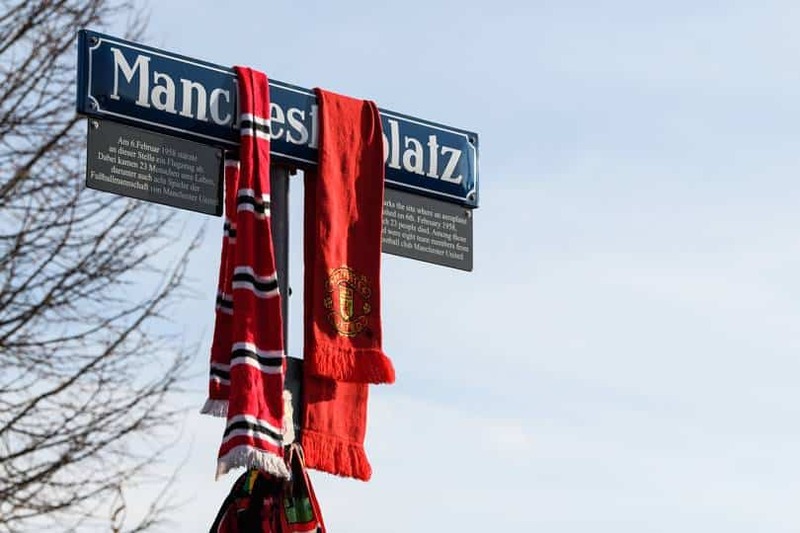 The service, which has been organised by the fans behind the munich58.co.uk website, will be led by Reverend John Boyers and will feature poems, prayers and songs including the famous folk anthem, The Flowers of Manchester. The ceremony is due to start at 14:40 GMT.